We had a chat to some members of Team Bicycle Network that are doing fantastic things in women’s cycling and sat down to find out what fuels their passion for cycling. What was the first thing you did to get started riding? I was never the brave type to just go out and do something on my own, so each time I have wanted to start something new I have found a club to do beginner sessions with. I started mountain biking with a university club in Canberra, and road cycling with the Hawthorn Cycling Club in Melbourne. 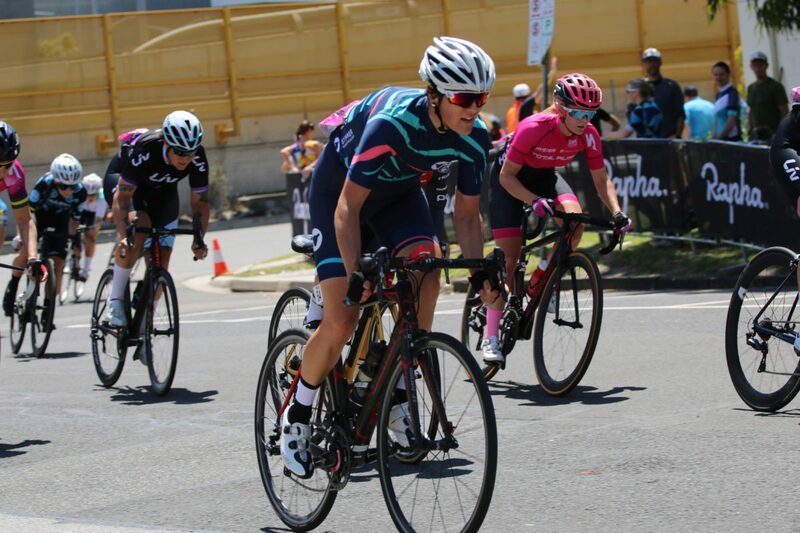 The Hawthorn Cycling Club have a great women’s program which includes recreational rides and skills sessions (as well as female criteriums for those interested in racing). Do you think being a woman impacts your experience of cycling? I can’t ‘get by’ with just riding a lots of kms. I will require an entire day off from the family to complete the event itself. I address these mental barriers by making all of my training kilometres count, and only entering in a few extra special events each year so that the time away from my family feels well spent and really worth it, and allows me to do something just for me (without feeling huge quantities of guilt about impact on the family). A common barrier among women is the lack of confidence to get started. What would be your words of inspiration to women who want to get started? You’ll never regret giving it a go, you will probably regret not trying at all. Find a way to do it that feels like a safe, non-judgmental environment and just try it. What did you do to keep progressing in the sport? Participating in fun but hard events. It both improves my skills and gives me the motivation to keep improving my riding. How do you see cycling evolving in the next five years? Even over the past five years I have seen a slow but steady improvement in conditions for women’s racing: more women’s specific options in events, equal women’s pay, improved reporting and media for professional women’s competition. It’s painstaking and incremental, but I think that equality for women in sport will keep improving. This will have flow on effects as more women take up recreational and competitive cycling and there’ll be as many women as men on the bike. It may be more than five years, but my hope is that it will be 50:50 by the time my four year old daughter is interesting in recreational cycling herself. Do you have any role models in cycling? 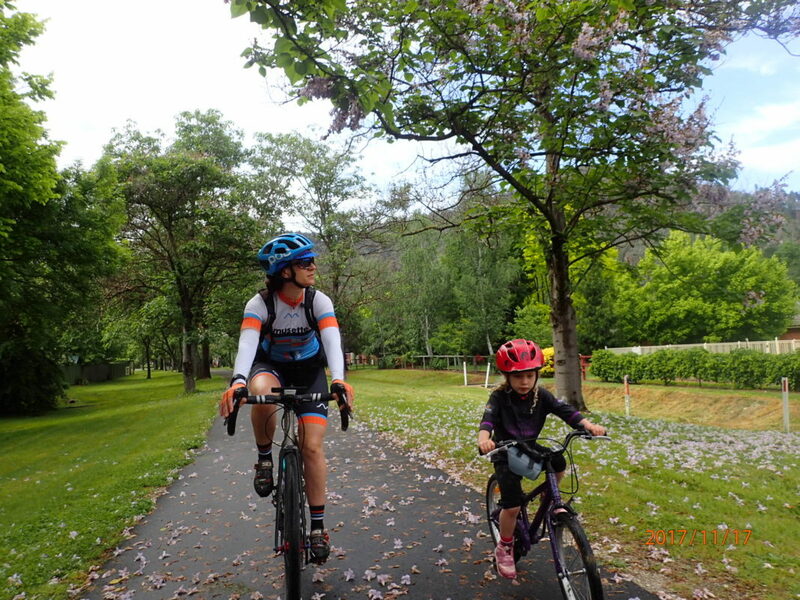 Of course I have favourite female pros, but as a working mother my role models are other mothers who manage to balance family, work and cycling. It’s a mental and physical obstacle course but well worth the regrets. I know more than a few women in this category and they are a constant source of awe and inspiration to me. I was lucky to have kept up cycling from the age of four. I was not competitive, just loved to ride. I did the RACV Great Vic Bike ride as a teenager, but in primary school I had awesome teachers who supported a really great Bike Ed program. All I knew is that I wanted to ride and that is what made me happy. As I have gotten older and wiser, I have realised that all I ever need to do if I want to improve or remove fear is to look towards other people who have done this before me and gain strength and knowledge from them. I race a lot and also ride in bunches with men. I find one thing really interesting, there is a certain vibe from some males that I don’t even think they are aware of themselves. It is the old ‘being chicked’ thing. It’s really funny watching some men rip their guts out in an attempt to beat you up a hill, even if you have never implied that you were racing. Other than this general observation, I think the main points about women and cycling are from a nurturing angle. If we are mothers, we especially tend to feel it is too hard to juggle a bike ride around family responsibilities and end up putting ourselves last. Finally there is a general consensus that I have personally experienced and that is that women are just less knowledgeable about bikes and how to ride them. Come on chicks, don’t let yourself be dumbed down – learn and empower yourself! Find role models. Find a group to ride with that supports your level. Learn and empower yourself with knowledge to instill confidence. Allow yourself to be a beginner and ask questions. You are allowed to be imperfect. If I am not having fun then I need time out. I often take a week off the bike to acquaint myself with my why. I also keep availing myself to big scary goals, the ones that I can’t just go on a wing and a prayer but must train for and arm myself with new skills. But as I said, it must be fun! Women enjoying cycling, racing, participating and riding with confidence. 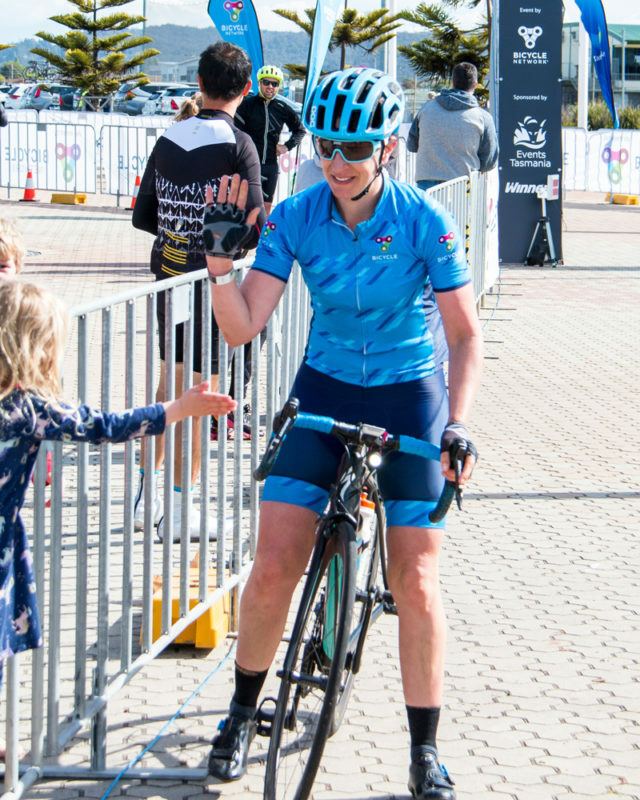 Cycling clubs and organisations continuing to promote women’s programs – not to separate, but to give time and understanding to our barriers to participation. As I said earlier, for me it is a general approach I take, there is no one in particular, it is all women: the women on the sidelines who dip their toes in despite their barriers to entry. The women who keep riding until they no longer can, into their 80s and beyond. The young girls who do BMX or track or road and don’t know any different. Most of my inspiration is from seeing women ride bikes and realise they can do anything they want now that they have a bike. My introduction to riding was through a weekend away with a bunch of touch football friends. In between visiting local wineries and breweries, we went mountain biking. While it took me about three hours to get around the 10km single track loop, I was completely hooked. 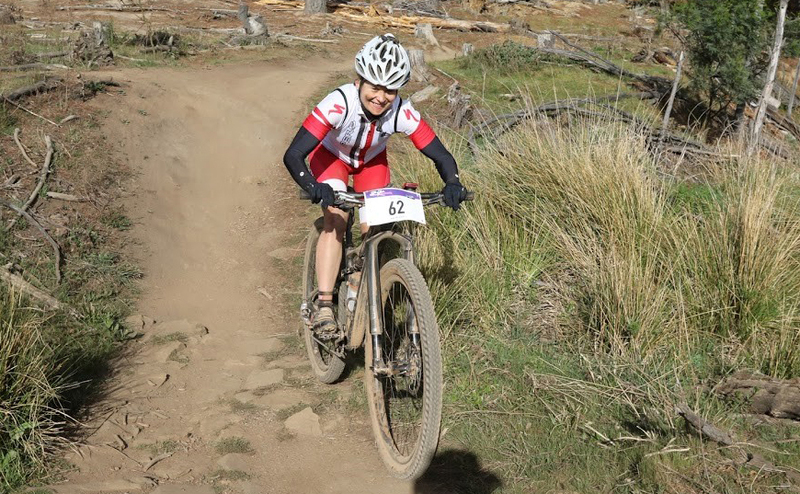 I loved the idea of riding through the Australian bush, it was a great fitness workout and the technical challenge of maneuvering a bike over rocks and logs was so different to any other sporting challenge I had ever experienced. One of the guys in the group was an experienced mountain biker and was delighted to have someone who wanted to be trained up on how to ride two wheels on dirt. We would head out every few weeks for a couple of hours and he would patiently teach me mountain bike skills. It was a gradual process, but one that I thoroughly enjoyed. Having access to someone one-on-one to introduce me to the sport gave me the initial confidence to buy a bike, then to join a club, and eventually get into racing. Not at all. Surrounding yourself with good people who encourage you in all aspects of your life, cycling included, creates positive experiences and these people can be male or female. The majority of my cycling mentors have been male, but I think that has more to do with mountain biking being a male-dominated sport than anything else. We are very fortunate to live in a country where we have both choices and access to wonderful experiences such as riding a bike through some amazing places. Why not seize that opportunity? Start small. Find a buddy and ride 5km to your local cafe for a coffee. Destination ride to a friend’s place down the road, or ride to work. It would be a shame to let that opportunity slip, and it won’t be long until 5km becomes 10km, and then 20km and you are having to make a choice on which bike you want to take out for a spin. Like with any new activity, it comes down to connecting with a network of like-minded people. In my early days, there were three things I did that led me to these like-minded people. Firstly, I found a good bike shop, recommended to me by a fellow cyclist and work colleague. I ended up meeting my mixed pairs MTB racing partner through the shop, who later introduced me to the world of 24-hour racing. Secondly, I established a riding group at work which also included cyclists from surrounding businesses. Being close to the Dandenongs, we were able to get into the hills twice a week before work. Since then, we have all moved on to other jobs, however, we still ride together regularly and train together every year for Peaks Challenge. The third thing I did was join a cycling club (Geelong Mountain Bike Club) which not only gave me access to all-year round club racing, but also gave me access to a great social scene as well as a heap of training buddies. In recent years, bike technology has moved so quickly, and there are now so many cycling disciplines available under the one broad banner of cycling. With a multitude of options available the sport will have far wider reach into the Australian community than ever before, which I think will lead to an increase in female participation. I look up to the women competing at the elite level in their cycling discipline who are also holding down a full-time job to fund their cycling endeavours and aspirations. 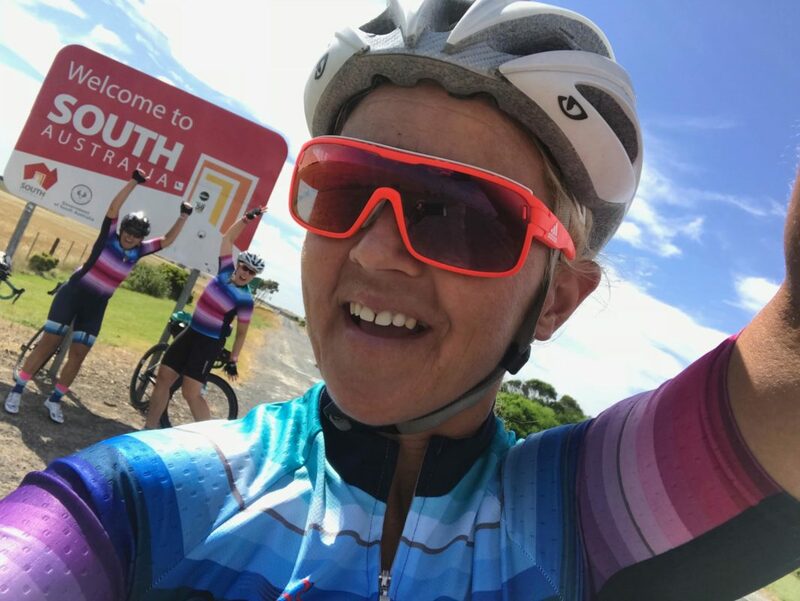 I also look up to the cycling mums out there who are working, bringing up children and supporting their families, and still managing to crank out the kilometres – I think these ladies are amazing. I joined a cycling club – at first I was apprehensive because I didn’t want to race at that time, but I soon learned that clubs offer so much than just racing. Joining a club helped me to make friends, develop my bunch riding skills and gain confidence. Yes, but in a positive way! In my experience, being a female cyclist results in loads of support from mates and a good balance between challenge and fun. I started social riding and when I had enough experience, fitness and confidence I began to enter Gran Fondos and events like Peaks Challenge. From there I started racing through my club’s Women’s Racing Program and now I’ve got the race bug. I think we’re already seeing a shift towards off-road racing. 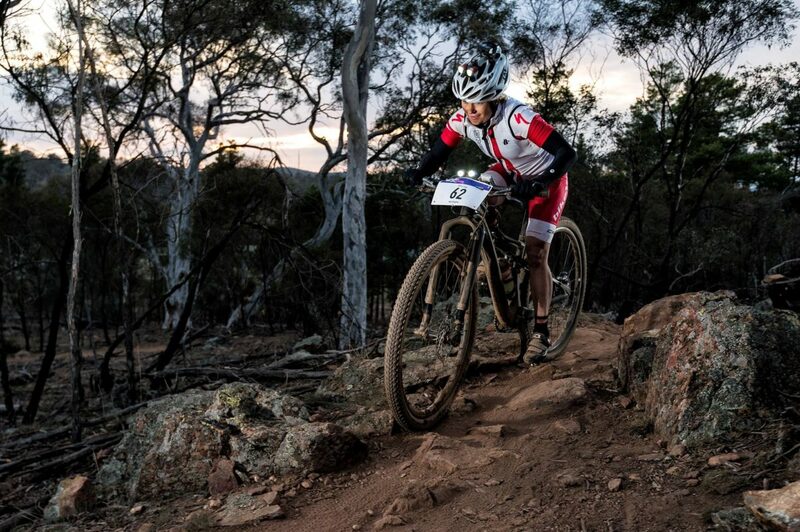 Cyclocross is becoming more and more popular in Australia, as is mountain biking. Maybe it’s time for Women’s BMX racing to have a big comeback too?